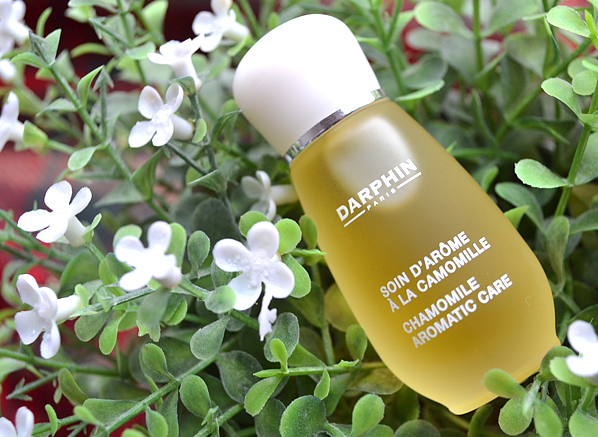 With its world-renowned reputation for exceptional performance and pleasure of use, it’s little wonder why we adore Darphin skincare, (and why you do, too!). In using the finest botanical ingredients, sensory techniques and innovative technology, the Parisian brand has been honing their expertise for decades – so, being the curious skincare lovers that we are, we wanted to tap into their vast mine of information. Last week, Darphin’s Education Executive, Kendra settled in with a cup of tea to share all of her skincare knowledge on Facebook. Here are some of our very favourite questions (and don’t forget, it’s 1/3rd off at Escentual this month!).. I’m in my mid-late 30s but I still get breakouts and recently I’ve been getting them around my chin and mouth area. I want to follow an anti-ageing skincare regime, and otherwise my skin is normal with very minimal signs of ageing, but I also want to prevent these breakouts. I love using facial oils! Do you have any advice? Thank you! Bonjour Susie, I would recommend you introduce the Aromatic Purifying Balm 2 – 3 nights per week instead of your night moisturiser. This amazing Essential Oil balm will help to heal your breakouts, deeply purify and calm your complexion. We also have a Blemish Gel which is amazing to keep in your handbag and apply it at any time of the day as an on the spot treatment. Bonjour Louise, I would suggest you use Age-Defying Dermabrasion followed by Aromatic Purifying Clay Mask twice weekly to help clear blocked pores. I’m 36 but I get more breakouts now then I ever did as a teen. I used to love using facial oils but stopped as I was concerned that it would make me more likely to break out. Is there an oil you can recommend? Bonjour Carly, I am delighted you enjoy using facial oils. Darphin Essential Oil Elixirs are non acne-genic and non comedonegenic and therefore will not block your pores or lead to breakouts. Having read your concerns I would recommend you alternate between 2 Essential Oil products in your evening routine. Apply 5 drops of Niaouli Aromatic Care Oil followed by your moisturiser 4 nights weekly. On the other 3 nights it would be great if you could apply Aromatic Purifying Balm instead of your moisturiser. The combination of these two products will re-balance and regenerate your skin and help to minimize blemishes an scarring. Do you have any suggestions for reducing unsightly pores? Bonjour, if you are feeling that your pores are blocked I would suggest you use Age-Defying Dermabrasion followed by Skin Mat Purifying Aromatic Clay Mask twice per week. If you are more concerned with open pores I would suggest you try our Ideal Resource Micro Refining Fluid which is fantastic at matifying the complexion and help to reduce the appearance of pores. Bonjour Katie, In an ideal world I would recommend you do use the same brand as they are all working towards the same goal with the same ingredients and technology. However I do appreciate that many people like to use a combination of their favourite brands. If this is the case I would advise that you use similar types of brands together. For example all plant-based, etc. Bonjour Deborah, I would suggest you try our new Exquisage Range morning and evening after cleansing. The lightweight texture of both the serum and cream provide the complexion with a luminous and satin finish which sounds like exactly what you are looking for. These products also help to hydrate, smooth and plump lines whilst leaving the skin with a beautiful fresh feeling. I would also recommend you use our Stimulskin Divine Eye Cream twice a day to keep your eyes looking youthful. There are a lot of skincare guides out there featuring product recommendations for various skintypes. If a product is good for one person with oily/dry skin etc. is it actually very likely to be good for most people with that same skin concern? Or is our skin actually a lot more individualised, and would it be more helpful for beauty consumers to seek professional and personalised recommendations for skincare at beauty counters etc.? 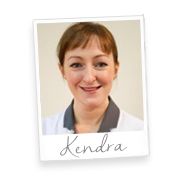 Everyone’s skin is individual but each person will have a primary concern such as oiliness, dryness, ageing etc. At Darphin, high performance products are crafted from the finest aromatic essential oils and instantly melt into skin to deliver unique benefits whether it is to energise, calm, purify, revitalise or renew youthful radiance. Should there be a secondary concern, additional special care products can be added into create a bespoke regime to target these needs. Some people may feel more comfortable to speak with an expert either online or in person before investing in a new routine, or wish to try a product on the skin to experience the texture and fragrance, whereas others may be happy to shop from a recommendation trusting Darphin’s spa heritage reputation of products that delight skin on contact to infuse it with a sense of sublime beauty, pleasure and well-being with clearly visible results. Is there any oil that helps complexion redness or am I just going to have to find a good foundation to help even me out? Bonjour Claire, The Chamomile Essential Oil Elixir is perfect for helping to calm and soothe a sensitive/flushed skin. use 5 drops every night before you apply your night cream. I would really recommend you also introduce the Intral Range – Intral Redness Relief Serum and Intral Redness Relief Recovery Cream. These products have been created to help reduce redness and even your complexion. This entry was posted on Friday, June 19th, 2015 at 12:21 pm and is filed under French Pharmacy, Skincare. You can follow any responses to this entry through the RSS 2.0 feed. You can skip to the end and leave a response. Pinging is currently not allowed.